Few portions of the Bible speak as directly to the questions of life as does Ecclesiastes. As you study the unique themes of this book, you will discover that life "under the sun" may seem meaningless, but ultimately, God gives purpose to all human experience. Ecclesiastes: A Time for Everything by Board; Stephen Board was published by Waterbrook Multnomah in March 2000 and is our 44746th best seller. 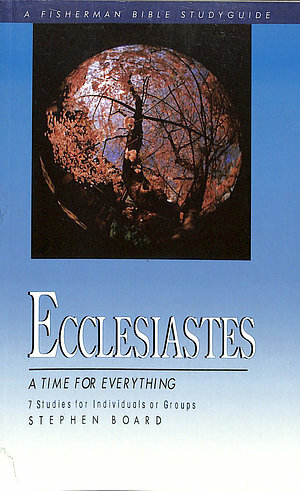 The ISBN for Ecclesiastes: A Time for Everything is 9780877882060. Be the first to review Ecclesiastes: A Time for Everything! Got a question? No problem! Just click here to ask us about Ecclesiastes: A Time for Everything.